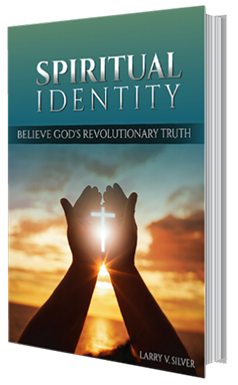 We’ve just released the new edition of Spiritual Identity. Tired of feeling frustrated, helpless in your circumstances, and ineffective for the kingdom? In Spiritual Identity, you will discover your identity in Christ that will make all the difference in how you grow and bear fruit. 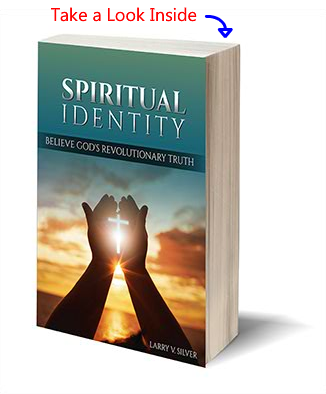 Just as The Purpose Driven Life has impacted millions of Christians, Spiritual Identity will become the next “must read” for the Church in this generation! Take a look inside the book. The first 3 chapters are available here. I suffered from an identity crisis right from birth. Born an identical twin in a Jewish family in Overbrook Park, Philadelphia, I struggled to know who I was, the purpose of life, and my part in it. The conservative synagogue my family attended was just a few doors from my home on the same side of the street. Although I was intrigued by the Old Testament stories and knew that the Jews were God’s chosen people, I did not know what we were chosen for. I had heard about a coming Messiah from time to time. There were so many things that we (the Jews) needed to be delivered from. But my understanding did not go very deep. It’s not as if I didn’t try to understand. At the ripe old age of six, there was a gorge down the street where I used to go to seek God. The neighborhood lore was that a bridge used to run over the gorge, but it collapsed while cars were traveling over it. The fact that there were tires and car parts down the steep sides of the gorge seemed to confirm this horrifying tale. Although I was afraid to be there, I thought God would be in this sacred place, so I would go there and ask Him questions that my parents and others could not seem to answer. When I turned eight, my family moved from Pennsylvania to New Jersey. We blended nicely with the natives (the Gentiles) in our new neighborhood. After a year or two, my parents no longer required that we attend synagogue. When I turned 13, my grandmother died and even the thought of a Bar Mitzvah faded. Religion and tradition stopped being a priority in our household.